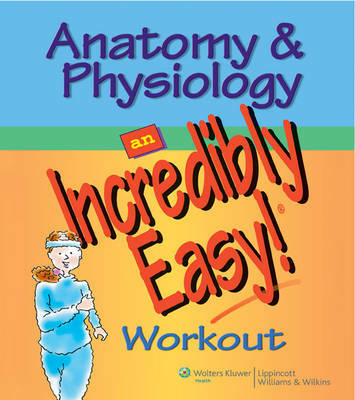 "Anatomy & Physiology: An Incredibly Easy! Workout" features over 250 enjoyable practice exercises to help readers understand anatomy and physiology with ease. This is a perfect companion to "Anatomy & Physiology Made Incredibly Easy! ", this workbook uses the light-hearted Incredibly Easy! writing style that makes learning and reviewing complex information less threatening and more fun. Chapters test the reader's knowledge of anatomic structures and physiologic processes for every body system as well as genetics, chemical organization, and fluid, electrolyte, and acid-base balance. Readers begin each chapter with a brief Warm-up outline review and then maneuver through practice exercises, including crossword puzzles, matching games, and labeling. Nurse Joy and other host characters offer coaching and encouragement.